Camp for €18,- a night at Campsite Groenpark in low season with CampingCard ACSI. 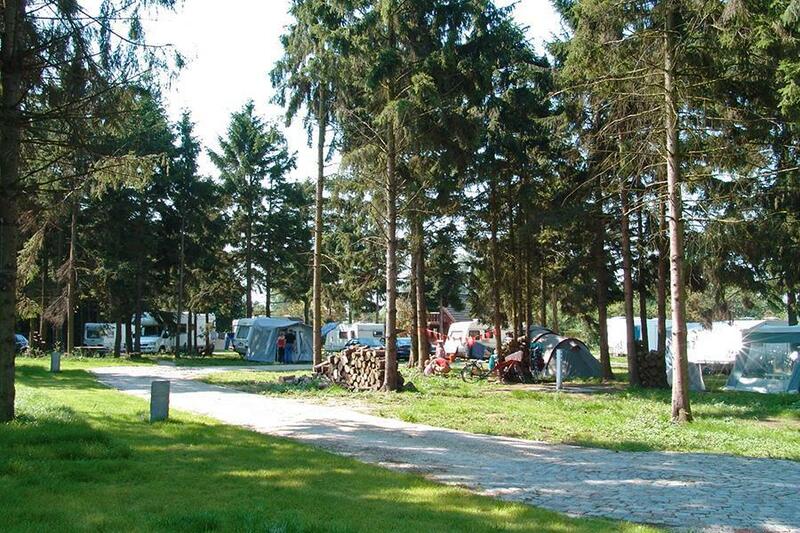 Campsite Groenpark, located in Zele (East Flanders), is a campsite with 70 touring pitches and 10 year round pitches. With your CampingCard ACSI you can camp on one of the pitches during the following periods: 20-04-2019 - 01-07-2019 and 01-09-2019 - 01-10-2019. At this campsite you can not only use your CampingCard ACSI for inexpensive camping, you can also use your ACSI Club ID (as an alternative ID). Campsite located between Ghent, Antwerp and Dendermonde. Plenty of opportunities for walking and cycling in the immediate surroundings. Nice site in lovely area near a lake, staff very helpful. Good cycling and walking routes. Good selection of restaurants by the lake. Bus stop nearby for visits to Ghent. Would stay here again. Turned up without a reservation for a one night stay en route to Berlin, gentleman in office didn’t speak much English which when in Germany is fair enough! We got by with google translate and hand signals. Went and found our own space which was plenty big enough. Toilets and showers very good, plenty of water at no charge. Good stop over site. This site is well run and busy ideal for stop over close to ferry ports. The reception was good and welcoming. Nice lake with pitches round. Toilets and showers were clean plenty of hot water I would stay here again. Stayed here 3. The sheltered pitches were a bonus for our dog and great dog walking next to the site. Shower and WC facilities not the best in the world but were acceptable with lots of hot water. No restrictions on anything and told to Park any where we wanted, staff helped booking us with the local vet and advising on travel to Ghent. We stayed for 2 nights. On the first night there was a large group of teenagers playing loud music until the early hours of the morning. It's a small site and you couldn't escape it. When we spoke to the campsite manager, he said that they were here all summer, and as we were only there a couple of nights, he would not ask them to turn it down. It's a nice, basic, small site, but unfortunately lacked peace tranquility. No limit here on very hot water which was very welcome ! Newer facilities at reception; huge communal BBQ area and spacious pitches. We only stayed one night; it's the nearest ACSI campsite to Gent (half an hour away), where you can park for the day at the Aire and catch the number 22 tram directly into town. It's Belgium's best-kept secret at the moment; Bruges without the tourists !! This was a basic site - Toilets were clean but in portacabins which were not labelled mens and women - so I often had a man next to me ! - showers were discussing with hair and mud everywhere. When I tried to use the loos and showers in the main reception the woman told me they were shut !! - The laundry for wasting euros and drier (expensive washing ! ) you have to pay wifi a day and poor connection. The communial area in reception was in dark (couldn't find the light switch) with tools over the tables - very uninviting. When I asked if the bars is open the women told me - only a few beers and that's it ! Overall all I can say is that the loos were clean and that's it ! good site for a short stay toilets clean and ample numbers for people using them when we were there down side three or four work vans leaving site at six in the morning and not exactly quiet about it. Another small grouse I had to pay to put some water in my motorhome tank the same water caravans get for free. At a very busy time site accepted telephone booking. Directions to site and access to both site and pitch excellent. A warm welcome on arrival with the formalities completed quickly in English.Toilets and showers spotless with lots of hot water. The pitch was large with both electricity, water and waste available. The site was very quite with no noise. The area was busy with numerous restaurants within a short walk. The motorhome point was well designed and accessible. We stayed for 2 nights at the end of our Europe trip. We had a large site with shade. EHU and tap very close. Nearest showers were wet room style with toilet, washbasin and shower. Not everyone used the squeegee so you could find them swimming in water. WC cubicles behind and more conventional style showers nr reception. All clean. Only one dishwashing sink there but you could see when it was free from most of the sites. Wifi was at reception and good. Places to sit inside and out. Did feel a little cramped when in transit people filled it the campsite later in the day but it was generally a pleasant site. You could walk through to the Donkmeer lake or drive round. Go up the E17 to the Gentbrugge P & R. Park your car under the autoroute, in the shade, and pick up the number 24 tram into the centre of Gent (with dog). We had a lovely day in Gent and particularly enjoyed eating lunch at De Graslei restaurant on the river. Would you like to book Campsite Groenpark or request more information? You can do both using the information below or by visiting the campsite's website. From NL: E17 exit 12, follow N47 left. Take 1st exit N445 on 3rd roundabout. Take 2nd exit on 1st and 2nd roundabouts. Left after 2 km to campsite. From France: E17 exit 11, follow N449 left. Take the N445 left at T-junction. 2nd exit on roundabout after 7 km. Campsite 500 metres on the right. CampingCard ACSI will send your information request to "Campsite Groenpark".